From last one decade we saw rise of wearable technology that’s why today we can find many product designed for humans that monitor sleeping & sleeping habits, record their dietary and exercising. 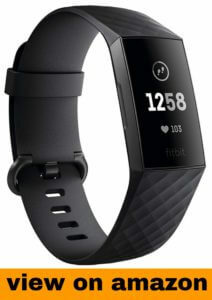 There is lots of good and bad fitness band/watches in market and wide ranges of prices as well. Samsung, Huawei, Fitbit, Apple etc. are some big name that make awesome quality smartwatches with fitness tracking but the those watches are bit expensive and not everyone can afford. There are many smart watches and fitness tracker that provide you very good results in affordable price. In this post we are going to reviewing iFit Vue that’s quite popular from few time. iFit is basically a new player in this industry, having been founded in 2013. One of the most popular and flagship fitness tracker of this brand is : iFit Vue. iFit Vue is packed with a lot of amazing features. It comes with OLED touch screen display that provide thinner profile and deliver best quality display. This “3-in-1” wireless activity tracker let you know calories, steps, meals, and sleep patterns. It knows when you’re walking, briskly running, or sleeping. There are lots of usefulness of this device that increase your workout to the next level. For instance, when you’re idle or inactive for few hours it will remind you to move, this is inactivity reminder feature, if you don’t want then you can also disable it. It has app in playstore which you can download and install totally free and connect your phone and this tracker with bluetooth. That app is free but if you want to unlock it’s all features then you have to pay. Battery backup of this device is very good, In single charge you can use upto one week. iFit doesn’t track your heart rate on it’s own but by third party heart rate monitor you can track on pod display. iFit is a good tracker that track your activity and sleep. It’s build quality is durable and look is average like most other fitness bands. Overall a nice product around $80* and stand on our expectations. iFit Vue is good fitness band in affordable price and comes with all important features but there still the quality isn't like FitBit or any other premium tracker. There is many things that we disliked in this tracker that's Buggy Syncing, Look is normal, Build quality is good but not like fitbit, you have to depend on apps and for heart tracking you will require 3rd party apps. Here i would like to tell you about another fitness tracker which is #1 bestseller and people are loving it. It will cost you $60-70 more than iFit vue but offers you better look, better build quality and ofcause better features. Fitbit charge 3 is thinner and looks a little less chunky on your wrist. It's very lightweight and comfortable to wear. 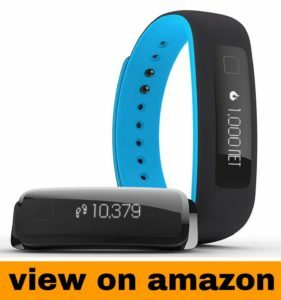 It has lots of fitness tracking features that help you to improve your workout to next level. It's waterproof so you can also use it with swimming. If you're looking a acceptable fitness tracker with all essential features then you can consider Fit Vue but if you can add more budget then you can go with fitbit Charge 2. Both are very good product in their budget and you will never regret in buying any of them.